PropTech is a type of technology that is tailored to improve specific ways in which we utilise and manage real estate. Increased investment and widespread use of technology and apps have paved the way to the current “PropTech craze”. PropTech is one of the latest buzzwords that’s sweeping the flexible workspace sector. 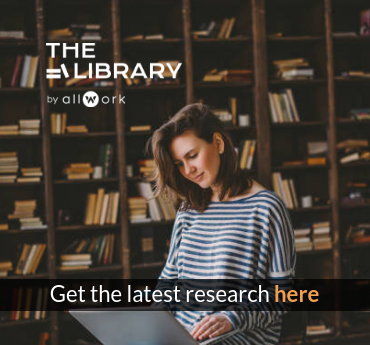 Here we dig deeper into what it means, why it matters, and how it relates to everyday coworking and flexible workspace management. Simply put, PropTech is the application of technology to the property industry. It’s also known as CREtech (commercial real estate technology) or REtech (real estate technology). The technology is tailored to improve specific ways in which we utilise and manage real estate to make it as efficient and seamless as possible. Think constant Wi-Fi connectivity, smart access systems, easy payments, and faster lease transactions. Where flexible workspace is concerned, PropTech can facilitate the entire lifecycle of a coworking member. 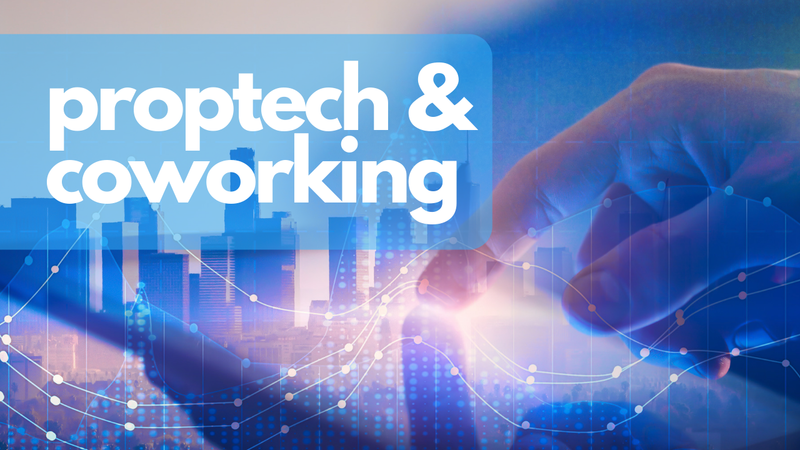 From finding and viewing a space online, to booking and onboarding, to billing and invoicing, even tracking consumption and data utilization, there are many touch points of a coworking space that benefit from tailored PropTech solutions. PropTech is often associated with VC-backed startups. But the relationship between technology and property has been around for decades. In flexible workspace, companies like essensys and WUN Systems have been delivering workspace management technology to the industry for years. 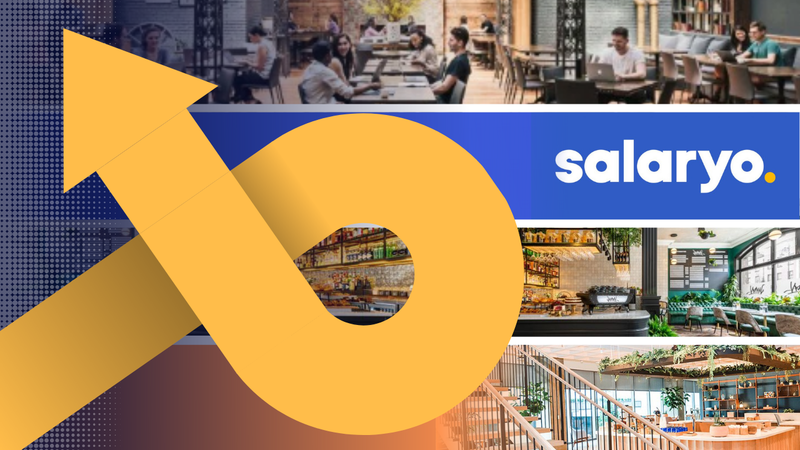 Then there are more recent brands like Kisi, a cloud-based access control system, and Croissant, a passport-style app that connects members with coworking spaces across the US, that have found their niche by providing service-specific solutions as the sector has grown. 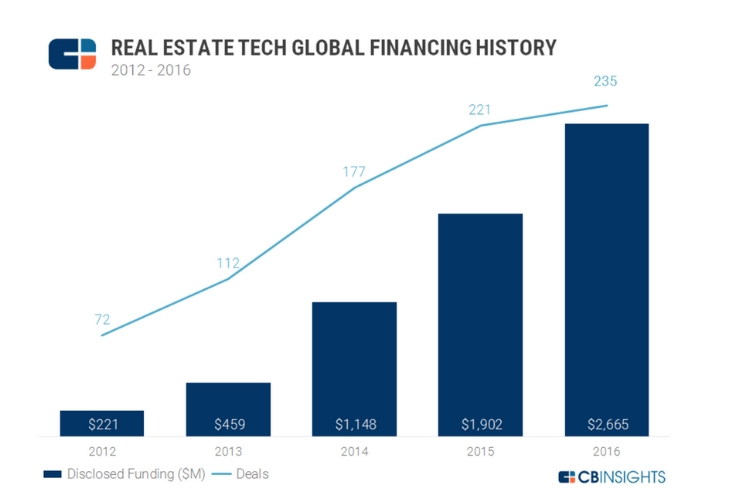 So why the current PropTech craze? The now widespread use of (and reliance on) mobile technology and apps has made it easier than ever for developers and entrepreneurs to put new technologies straight into the hands of commercial property owners and operators. Investment in real estate technology has grown rapidly in recent years. The rapid growth of flexible workspace, which reflects the wider need for quick access to workspace resources without the burdensome leases of traditional real estate, has also played its part in fuelling PropTech innovation. Alongside coworking, there exists constant demand for fast reliable Internet connectivity and other technological elements, which creates the need for better, faster solutions, but also greater cohesion between them. Workspace automation: Day-to-day operational tasks can be automated through systems like Habu and OfficeRnD. These platforms can manage new member sign-ups, billing, payments, tracking subscriptions, space utilisation, meeting room bookings, accountancy integration and more, which reduces labour-intensive tasks and allows Community Managers to focus on other priorities. Blockchain coworking: Many coworking spaces accommodate tech startups, but few actually use those technologies in their own spaces. One workspace that does is Full Node in Berlin, which targets blockchain startups and also utilises blockchain in its day-to-day management of the space. For example, Full Node uses the Slock.it locking system to secure the space, which provides access to members along with other features such as smart contracts. ‘Intelligent’ glass: Office Space in Town’s building in London Midtown features View Dynamic Glass, which provides electrochromic windows that automatically tint to maximise natural light and reduce heat and glare. This improves the wellbeing of occupiers by creating a more comfortable working environment and reducing eyestrain and headaches, and also enhancing the building’s sustainability. Digital mailboxes. For coworking spaces and centres that provide virtual office services, one of the biggest challenges for staff is receiving, sorting, and forwarding mail in a timely manner. Mail forwarding is a slow, time-consuming process that’s prone to human error. However, a mail-scanning app (such as Earth Class Mail, iPostal1 and Anytime Mailbox) can help cut down the amount of laborious intervention required by business centre staff, which saves time and also vastly improves the client experience by placing the client in control of their mailing service. PropTech solutions can dramatically improve flexible workspace operations and pave the way for future growth. It all comes down to adding value and enabling higher levels of productivity, which is becoming mission critical as competition in our industry rises. “The ability of our industry to aggregate technology as a value-added benefit of our service model will be critical to sustaining growth and increasing our members’ lifecycle,” said Frank Cottle, chairman and CEO of Alliance Business Centers. It saves time. At the root of it all, PropTech solutions save valuable time. Given the choice, wouldn’t you rather have your Community Manager spending time with your coworking members, adding value and improving their experience in your space (and upselling your services), rather than chasing payments and manually taking meeting room bookings? It’s efficient. Automated systems are faster and more accurate than manual entry. Of course no automated platform is completely failsafe, but there are backup systems in place to trigger alerts or ‘Plan B’ solutions should errors occur. It brings in business. Why should new members waste time picking up the phone when they can make a booking with a few taps? That’s the beauty of PropTech. It takes your brand into the digital arena and keeps your space open for business 24/7. It supports the Future of Work. At the heart of the future workplace is user experience, which is inherently connected with PropTech. The more your space is automated, the more time your staff can spend improving members’ experiences and building your brand. When data can tell you what part of your space works and what doesn’t, and when it’s fed to you in a simple report, you can identify areas for improvement and spot new opportunities as they emerge. PropTech is disruptive. 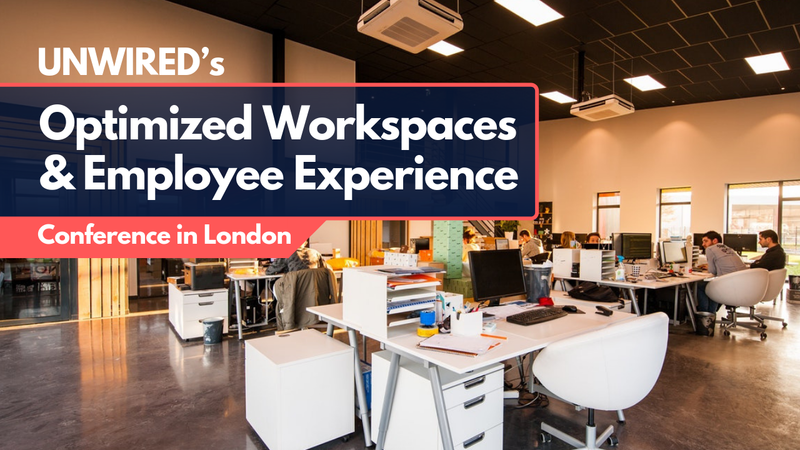 It’s redefining the way flexible workspace owners find and build out their spaces, how their people manage the space and interact with members, and ultimately it enables owners and managers to seek new opportunities for growth. And considering the fresh wave of investment that’s now being poured into PropTech, we consider this to be just the beginning.